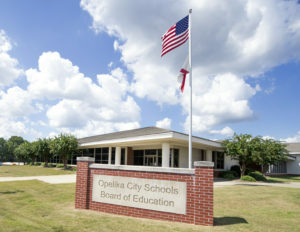 The Opelika City Schools Board of Education approved a bid for the roof replacement and exterior wall recladding of the activities building at Morris Avenue Intermediate School during its monthly meeting last Tuesday. According to OCS Superintendent Dr. Mark Neighbors, the activity building at Morris Avenue was one of the last buildings to be designed using EIFS, a low-grade building material, which has slowly fallen apart overtime. Describing it as a roof that not only leaks but seeps, Neighbors voiced his full approval for the project. “This is a building that we have been chasing for 20 years. I say, ‘fix it,'” Neighbors said. The school board also approved the reroofing of the low slope roof areas at Jeter Primary School. Built in 2002, Board Chairwoman Patsy Parker and OCS Assistant Superintendent Kenneth Burton said the repairs are long overdue. “We have been patching that roof for (a while), and it’s gotten to a point where we felt that we couldn’t continue to patch it,” Burton said. 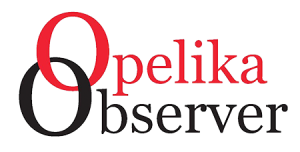 -approved a bid for cafeteria equipment for the Child Nutrition Program at Carver Primary, Morris Avenue Intermediate, Northside Intermediate and Opelika Middle schools. -approved an amendment to the FY 2018 budget, which authorized a $42.2 million general fund budget.